Apple products have been sold in India for many years, but you won’t find any Apple stores in the country. Gadgets bearing the Apple logo are only sold through resellers and consumer electronics chains like Redington or Ingram Micro. 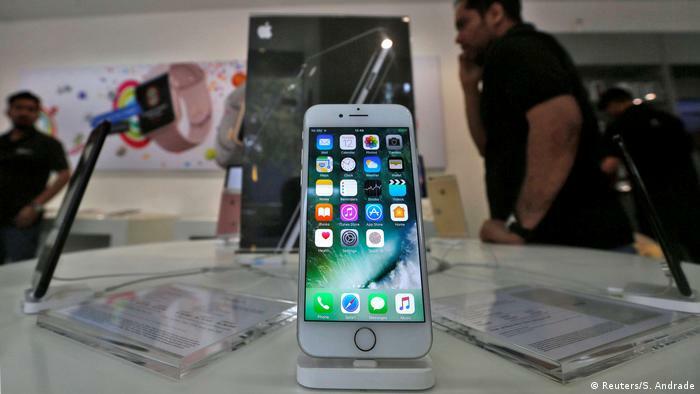 The iPhone, Apple’s best-selling product, accounts for two-thirds of global sales. But while Apple has seen a decline in sales in its major China and US markets, the sales curve in India still points north. Although Apple’s mobile phone market share is currently less than 5 percent, it has great potential for growth. It is therefore no wonder that Apple wants to “increase its footprint in India,” as analyst Rajrishi Singhal in Mumbai told DW. Apple CEO Tim Cook’s initial plan to sell used iPhones in India didn’t get much applause from Indian Prime Minister Narendra Modi. In response, during a visit to New Delhi in May, Cook pledged to produce new iPhones in India. Other key players from the mobile phone industry are already in India, or are planning to build production plants. In 2015, Taiwan’s iPhone factory Foxconn started production of Chinese Xiaomi smartphones in a production facility in the state of Andhra Pradesh. Additionally, Foxconn has pledged to invest $5 billion (4.6 billion euros) in a new plant in the state of Maharashtra. China’s smartphone maker Huawei is also active on the sub-continent. In 2015, the Chinese set up a research facility in India’s IT capital Bangalore for $170 million (157 million euros). Wistron, another iPhone manufacturer from Taiwan, has a production plant close to Bangalore. According to a Bloomberg news report, this will be where the first Indian-made iPhones will leave the assembly lines – as soon as Apple and the Indian government have come to terms. 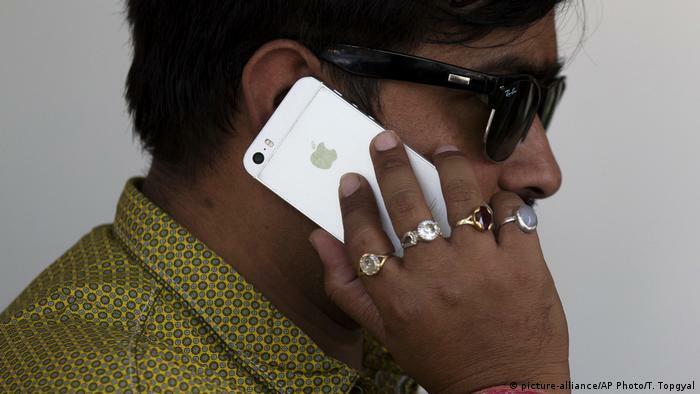 Experts have been waiting for Apple to tackle the Indian market for some time. In recent months, top management from Apple’s headquarters in Cupertino have repeatedly met with Indian government officials in New Delhi. In late January, Cupertino-based Apple manager Priya Balasubramaniam met with officials in the Indian capital. “It’s almost a done deal,” the Wall Street Journal quoted an Indian government source saying after the meeting. 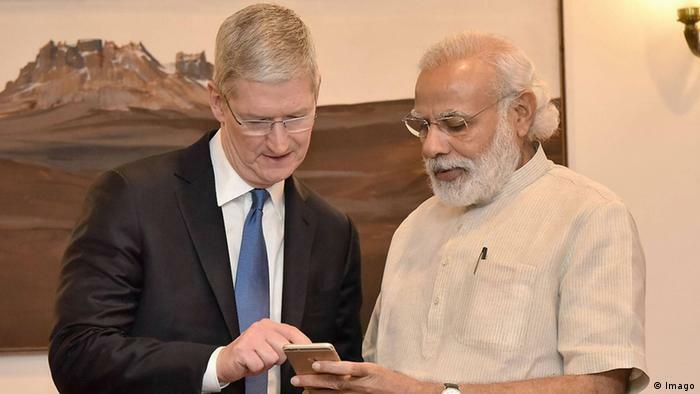 Apple’s strategic plans are welcome by the Modi administration, because the prime minister’s ambitious ‘Make in India’ initiative can only be successful when the country attracts massive foreign investment. According to data from the German federal investment agency “Germany Trade and Invest” (GTAI), India’s manufacturing sector has been accounting for only 15 percent to the country’s GDP since 1980. India’s “National Manufacturing Policy” (NMP) is supposed to ramp up that number to 25 percent of GDP by 2020. Since Modi took office, initiatives like “Make in India” and “Digital India” have been launched. While it takes more time to implement long overdue reforms, Modi has been trying to attract more foreign direct investment (FDI) by granting financial and tax reliefs to potential investors. Today, Apple only plays a miniscule role in India. “[Almost] 75 percent of smartphones sold in India are below $150 price-points, this is the price point where Apple doesn’t play,” Neil Shah, an IT analyst working for Hong Kong-based Counterpoint Technology Market Research, told DW. “Apple’s cheapest model, the three year old iPhone 5s, starts at $250 whereas the new portfolio such as iPhone SE 16GB starts at $550 and appeal to only 3-4 percent of the market.” As mobile devices need to be bought without any subsidies from operators in India, the proliferation of premium smartphones is low, Sha explained. 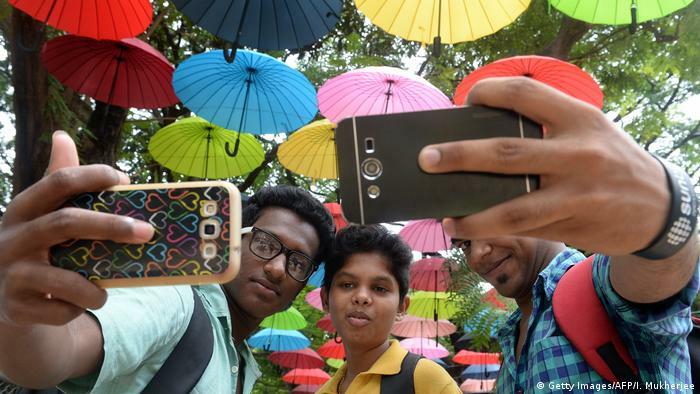 In the years ahead, an estimated 500 million smartphones will be sold to Indian customers. Together with local partner Micromax Informatics, Samsung is the market leader in India, selling a variety of budget models. But if Apple succeeds in setting up production and its own Apple store retail chain, Tim Cook hopes the company will be able to offer iPhones at lower prices and get a bigger piece of the Indian pie.